A major new study reports that individuals who inherit genetic changes, which alter the function of their immune system, are at increased risk of developing Hodgkin lymphoma. Many of the DNA changes identified seemed to affect the function of the immune system. Three in particular had previously been associated with autoimmune diseases such as multiple sclerosis, rheumatoid arthritis or lupus. These findings could highlight new ways of diagnosing, treating and preventing Hodgkin lymphoma. 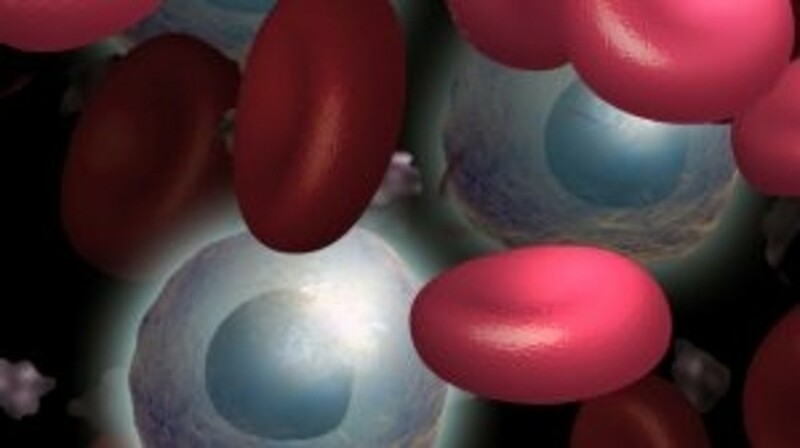 The study published in Nature Communications, is the largest of its kind for Hodgkin lymphoma. Hodgkin lymphoma can normally be successfully treated with first-line therapies; however there is a need for new treatments for those whom first-line treatment has failed. The team analyzed genetic data from 5314 cases of Hodgkin lymphoma and 16,749 controls from four European studies. Six single-letter changes in DNA that were linked to the development of Hodgkin lymphoma were identified; five of these affect the development of B cells. Interestingly, one of the genetic changes discovered increased the risk of Hodgkin lymphoma by more than a third and others by at least 15%;potentially highlighting new targeted drugs for the disease. Additionally, the researchers picked out differences in genetic risk between nodular sclerosis Hodgkin Lymphoma and mixed cellularity Hodgkin Lymphoma, two different subtypes of Hodgkin Lymphoma. For example, a single-letter change located in DNA near the gene LPP increased the risk of nodular sclerosis Hodgkin Lymphoma by 37%, but had little effect on the risk of developing mixed cellularity Hodgkin Lymphoma. The scientists at The Institute of Cancer Research (London, UK) stressed that the link did not mean individuals with autoimmune diseases are at increased risk of lymphoma, but the findings do offer important genetic clues for better understanding both lymphoma and autoimmune diseases. Paul Workman, Chief Executive of The Institute of Cancer Research, London, commented: “Understanding the genetic changes that underpin cancer’s development is crucial for all aspects of our quest to defeat cancer – to understand which patients are most at risk from different types of cancer, to improve diagnosis and to develop treatments that are most likely to work for individual patients. “This important new study sheds light on the DNA changes that can contribute to a person’s risk of developing Hodgkin lymphoma, and offers clues as to how they might increase that risk, including the interesting link to the immune system. These findings could lead to new ways of managing the disease,” concluded Workman.